Rate this Article Have you ever come face-to-face with a cringe-worthy horse name? Well then, you should know that getting a good name for your horse isn’t an easy task. Thus, here’s a simple guide to hopefully help you find a name that is more suitable for your horse. Have you ever come face-to-face with a horse name that you just can’t bear the sight of it? Well then, you should know that naming a horse, or any pet for that matter, is no walk in the park. In fact, it is pretty common for horse game players such as yourself to encounter horses with names that will make you visibly cringe, while others may make you chuckle instead. Having a great name for your horse is important in both real life and also in any horse game that you play. This is because the names themselves represent how you would like to present your horse as. Just imagine if your parents somehow decided to call you something embarrassing like “Booger”... I’ll bet you would change your name the first chance you get! Thus, here’s an article that will hopefully help you in the rather tricky task of finding a good name for your horse. One of the easiest methods to find a good, and somewhat unique, horse name is by translating cliché horse names, such as Mist, Blaze, and Smokey, into another language. For instance, the cliché name “Dark” can be translated into Spanish to get “Oscuro”, which is admittedly a pretty sweet name for a stallion. There are plenty of tools on the internet that can help you in this respect, like Google Translate. You could even try using the thesaurus to find potential names too. What if the name you want is already taken? Well, you could still use the name... after you’ve done a bit of modification to it of course. You could easily add on a number at the end of the name, or you could also add a prefix or suffix to the name to make it unique. Prefixes and suffixes can be easily created right out of thin air, but most players often use part of their barn’s or stable’s name as a prefix or suffix when naming horses that they have breed. So, if your stable is called “Whitehall Stables”, for example, you can then perhaps name your horse... say, “White Tempest” or even “Whitehall Tempest”. In the world of horses, specifically in the field of horse breeding, the lineage of the horse plays a rather critical role. Due to this, it’s pretty natural to want to name your horse after its mom or dad (or even both!). So, in this case, if the father is called “Blazing Spirit” and the mother is called “Dancing Dreamer”, then the resulting foal could be named “Dancing Spirit” or “Dreaming Spirit”. Sometimes, players may combine a parent’s name with the pedigree or breed of the foal. As such, by using the same example above, the baby American quarter horse could instead be named “Blazing Quarter”. Of course, if you happen to be one of those people with a huge cache of creativity or are a person that values originality, you can still attempt to come up with an original name for your horse as well. It may be a tad bit tougher to do so, but the resulting name that you get might be very worth the effort. Thankfully, there are a couple of factors that you can consider in order to create a good name for your horse. These factors include your horse’s appearance, personality, as well as that you’re hoping your horse will do in the future (near or otherwise). 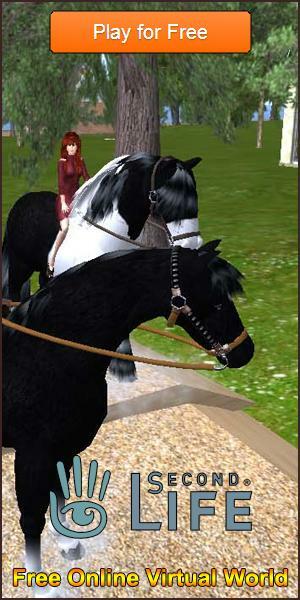 For appearance, you can refer to the horse’s coat color, or its unique markings for inspiration when trying to name your horse. For instance, if your horse has a lightning-shaped marking, you might want to consider naming him after something that is related to its marking, such as “Thunder”, “Strike”, or “Zeus”. In addition, you can also name your horse in terms of its personality. Granted that you’ll need to spend a bit more time with the horse in question to understand it better, but this is a great way to help you come up with a good name for your horse. Taking a horse with a wild temperament for example, you could give it a name that contains certain words which reflect its nature, such as “Wild”, “Madness”, or “Fierce”. The occupation of your horse can also help you in deciding a proper name for it. For instance, if the horse is intended for kiddy rides, when perhaps you might want to go with a gentler-sounding name such as “Honey” or “Happy”. However, if you plan on listing the horse into races or other events, you might want to find a name that can grab people’s attention like “Wild Dashing Supreme”. Now that you have an inkling of what to name your horse, you might want to double check your name ideas against the rules the horse games you play in have in place. Most horse games will red-flag any name with any form of vulgarity in them, so be sure to keep the name clean! Not to mention, horse games like Howrse restrict the number of characters you can use in a horse name (20 characters to be exact). Thus, you’ll want to be sure not to exceed that character count, or all your effort in coming up with a great horse name would be for naught. Last but not least, when worse comes to worst, you can always make use of online tools like Horse Names to help you get a suitable horse name. Hopefully, these tips are helpful for you to find a great name for your horse. If you find this article interesting or useful, be sure to give us some feedback by rating the article. See you in-game!